What Can Bring a Heart Back After 50 Years? This is the walk towards others’ conversion. Line of Confession in Medjugorje. 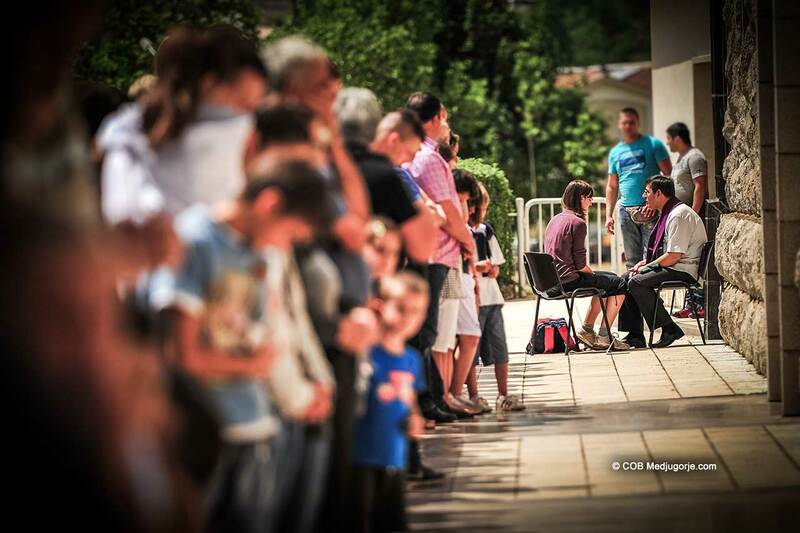 It is an everyday occurrence to see lines with thousands of people waiting for Confession in Medjugorje. Our Lady said on March 25, 2018: “confess and begin a new life of grace.” Confession in Medjugorje has been the beginning of millions of new lives. The path towards helping someone to convert, is to witness by our own conversion. When we do that, then God can move with grace, to move a heart. What can bring a heart back after 50 years, except our surrender to Jesus, so others may see Him in us, and desire to know Him. Witness, love, and God’s grace, touched by Medjugorje, are the key ingredients. We are getting a lot of calls about available dates for pilgrimages and when a Friend of Medjugorje will be present. Below are upcoming dates and prices. Sold Out! May 28 - June 6, 2018 · $2450.00 · The Second of the Month Apparition * A Friend of Medjugorje will be present! June 19 - 28, 2018 · $2450.00 · The 37th Anniversary of the Apparitions * A Friend of Medjugorje will be present!